Holds wood and metal workpieces up to 4" wide. 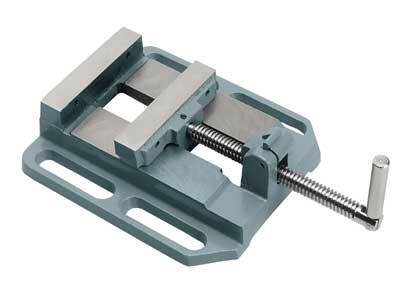 Features quick-release trigger for instant release of workpiece. Built-in groove holds dowels and other round materials. Thru-holes provided for mounting an auxiliary fence. Mounting hardware not included.